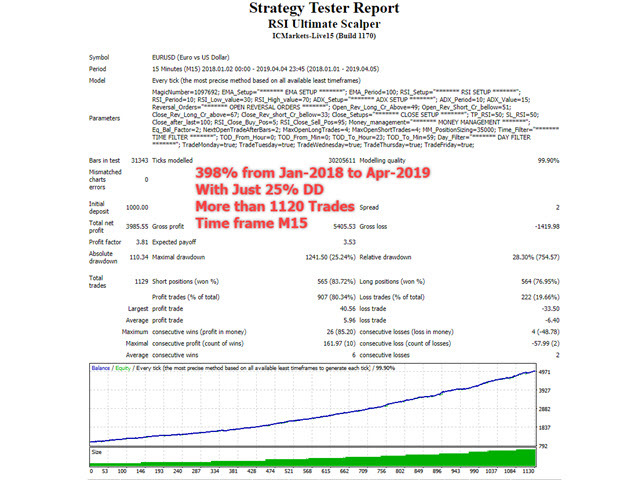 Take a EA with 99,9% Backtest and with more than 300% in 15 months With Less Drawdown!!! 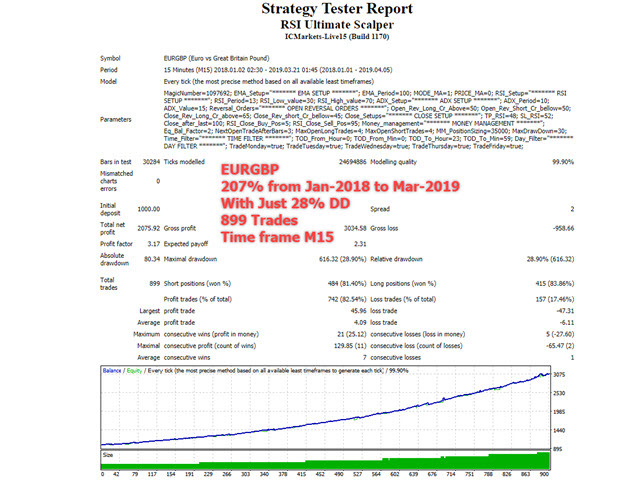 Fully automated EA, easy and simple. Combined the RSI indicator with the ADX indicator for entry and for exits. The EA use also a recovery strategy to reduce the drawdown on the account. If you are using data with lower precision than 99.9%, you may have different results! !